If you’re coming to us from Seattle or Los Angeles, Alaska Airlines offers nonstop daily service to Sun Valley, some of which is seasonal. To book online, visit: www.alaskaair.com. Idaho’s natural beauty is a thing to be treasured, and the Bureau of Land Management makes sure our little gem stays that way. It manages one-fourth of the state’s total land area and runs things like recreation, rangelands, timber, minerals, water, and fish and wildlife. Born by the Sea, Raised by the Mountains, Trusted by Professionals, Designed by Scandinavia - Confident when it matters. Helly Hansen provides high quality, protective technical gear for work and sport made with an unwillingness to compromise between style and performance. Red Bull has grown a unique and aspirational brand that is now in over 160 countries. Red Bull is known for developing unique consumer engagement activities. Activities that inspire, fascinate and generate word of mouth, leading to a wide range of properties and a 360 global degree media business. The Sawtooth National Forest is a place everyone should see at least once, but we recommend you try for as much as possible. This vast area is one of Idaho’s treasures, and you can learn more at www.fs.usda.gov/sawtooth. If you’re making the hop from Salt Lake City to Sun Valley, Delta Air Lines, operated by SkyWest offers daily nonstop flights. 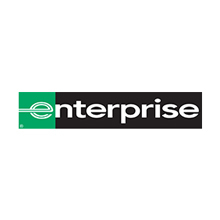 For scheduling from this hub and other major U.S. cities. Visit: www.skywest.com. Located inside The River Run Lodge Smiley's Mountain Photo is both a summer and winter base for our professional photographers. Capture the memories of your ski vacation with no obligation group portraits, action photos or video at the top of Seattle Ridge and Lookout chairlifts. In the summer season, take in the view at the top of the Gondola and we'll be there to offer our professional photography service. Our photographers are available for weddings, private portrait sittings and special events. Look out for our friendly photographers wearing the yellow jackets. 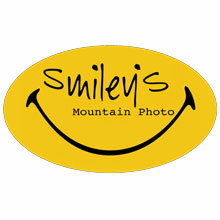 Visit Smiley's Mountain Photo online at www.smileysmtphoto.com or call 208-216 9523 to book your private photo shoot today. If you’re coming to us from San Francisco or Denver, United Airlines offers nonstop daily service between the City and Sun Valley, some of which is seasonal. To book online, visit: www.united.com. 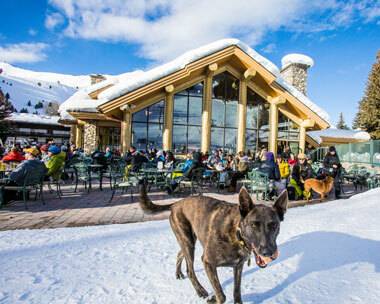 The official Sun Valley Chamber and Visitors Bureau travel guide helps you book vacation packages or lodging, and explore restaurants, shopping, and local activities. For more information visit: www.visitsunvalley.com.